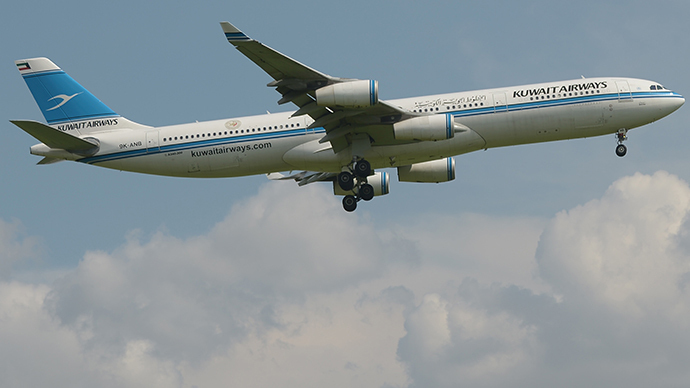 Kuwait Airways refused to allow a New York woman to board a New York-London flight because she holds an Israeli passport. Comparing her case to that of Rosa Parks, Iris Eliazarov plans to take legal action against the company. Eliazarov, a pregnant mother from Queens, was intending to fly with her husband David Nektalov, who is a US citizen, from John F. Kennedy airport in New York on November 1. However, when the 26-year-old produced her Israeli passport, she was barred from boarding the plane because Kuwait Airways says it has a rule that prohibits Israeli citizens from flying with them. Eliazarov, is now taking the airline to court for discrimination and could be aided by top federal and state law enforcement officials. The couple’s lawyer, Paul Kerson, says that the airline’s policy is in violation of both state and federal civil rights laws. Federal Judge Roslynn Mauskopf has asked the offices of Brooklyn Attorney Loretta Lynch and state attorney general Eric Schneiderman to look into the case. John Maggio, who is representing the airline, says Eliazarov, who is a US green card holder, doesn’t have a case, as the company’s policy is based on nationality and not religion. He said a Muslim in possession of an Israeli passport would be refused the right to board the plane. Eliazarov says she was inspired by Rosa Parks, an African-American civil rights leader, who was arrested in 1955 in Alabama for not giving up her seat in the colored section of a bus to a white person, after being asked to do so by the bus driver. “She became famous for her principled stand. This experience has awakened the nightmare of the experience of the Jewish people in Europe in the last century. That was a time of the wrongful splitting of families, often at transportation facilities,” the mother of four said in a sworn affidavit.